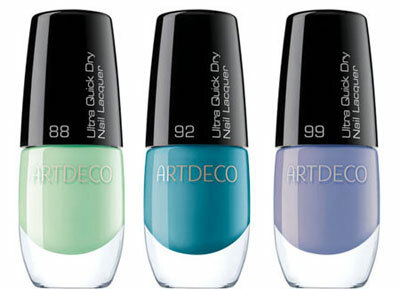 This month ARTDECO will present its newest collection of nail polish for the Summer 2010 season, which will be called Color Your Nails. 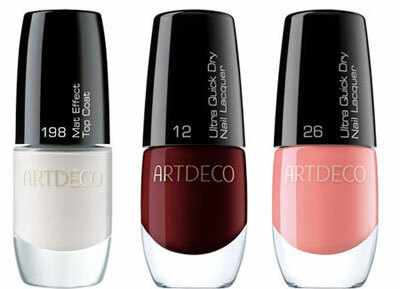 The new collection includes 30 stylish colors of extremely fast-drying nail polish. The colors will be released in Limited Edition. One of the trendiest products this summer is matte effect top coating. The matte-glossy interplay is the hottest trend this summer. 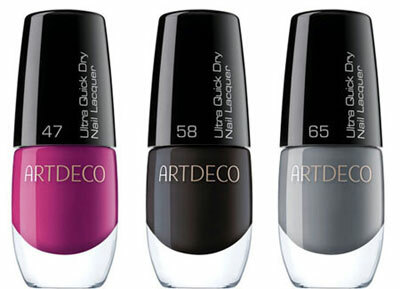 In recognition of this trend, the collection Color Your Nails from ARTDECO contains Matte Effect Top Coat and Nail Polish remover. 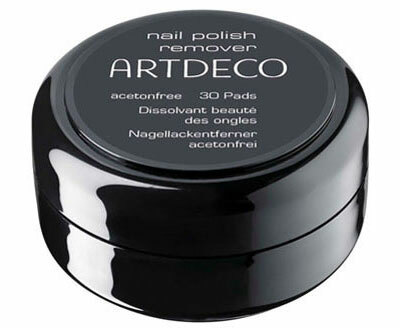 Nail Polish remover package contains 30 acetone-free pads for removing nail polish. 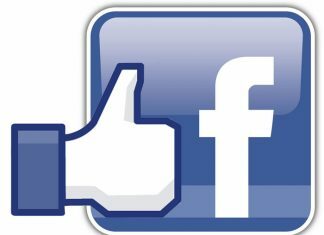 How would you play with matte and glossy coatings? The collection’s advertisement picture offers an interesting idea. Source of the images: chicprofile.com.